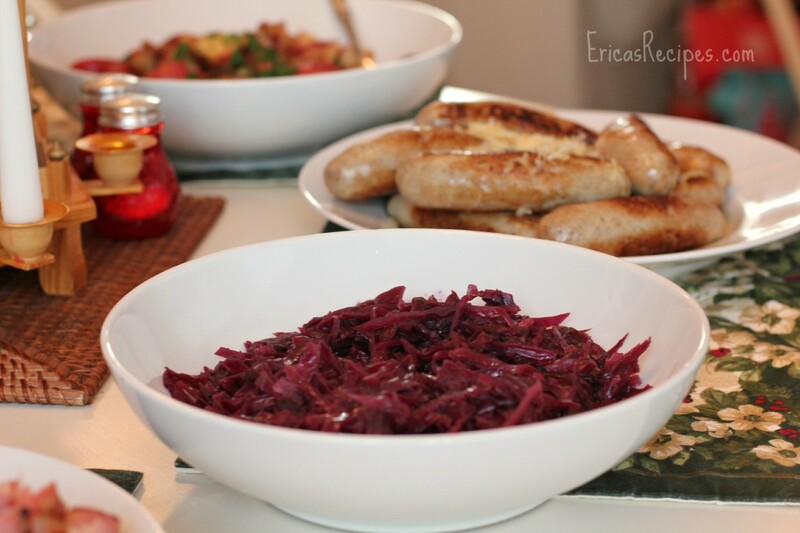 German Braised Red Cabbage is savory, sweet, colorful, and the perfect addition to your holiday table. 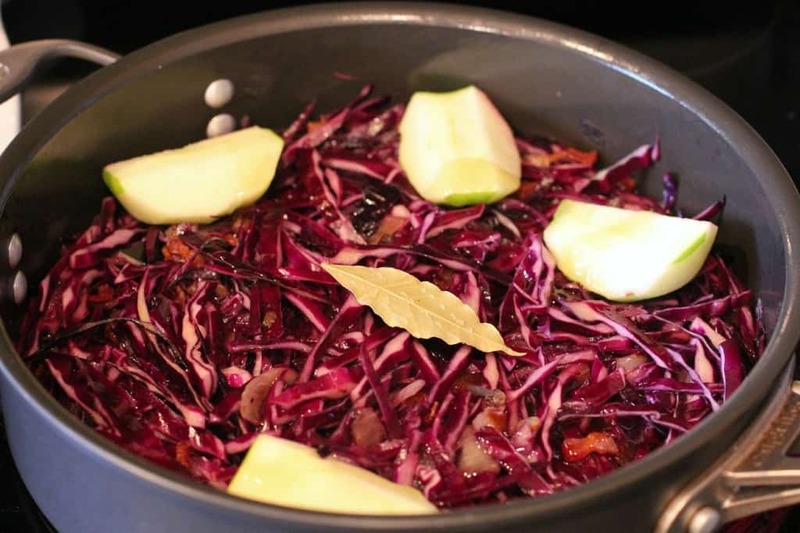 Sweet, tender, braised red cabbage is a recent discovery of ours and a new favorite. Pictured above front and center, it was a star in our Christmas buffet this year. 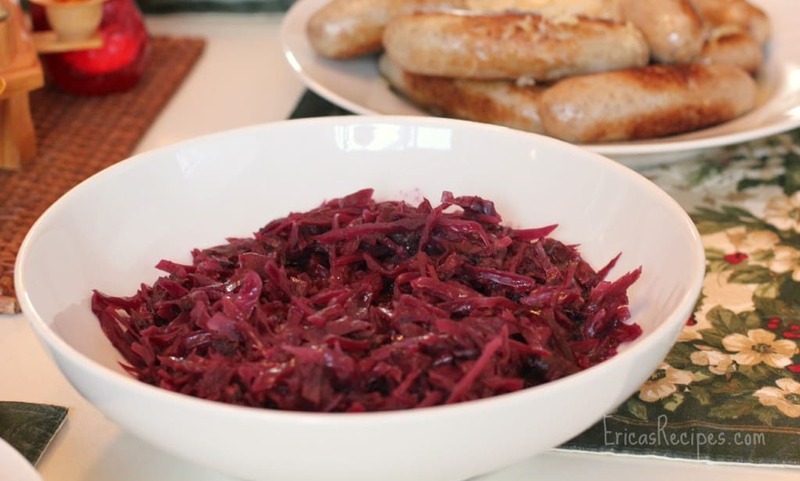 The sheer fact that this is so incredibly easy to make makes this German Braised Red Cabbage is worth sharing…often! In a large skillet with a lid, cook the bacon until crisp. Add the onion and salt, and saute until the onions are lightly browned. Add the cabbage and cook for 2-3 minutes. Add the red wine and juice and deglaze the pan, scraping up the browned bits with a wooden spoon. Add the remaining ingredients, cover, reduce heat to low, and simmer 2 hours. Add more apple juice if the level of liquid gets too low. Serve warm. Nice recipe. 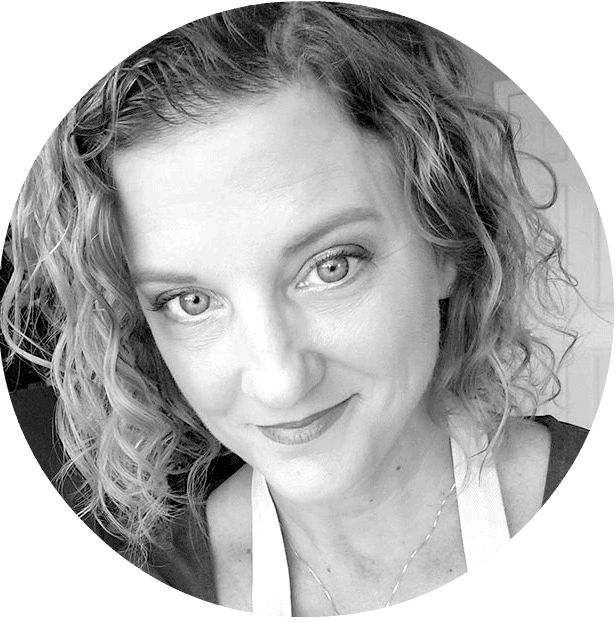 I’m planning to make red cabbage today, and I’ll use this recipe in place of my normal one. Thanks.